The Tenth meeting of the FY19 Safety Council Program year will be held on Thursday, April 4th,2019 from 12:00 Noon to 1 P.M. at the St. Clairsville Recreation Center. If you are attending~ please bring 5 of your Business cards with you to be entered into a drawing for a prize! You may also bring brochures, flyers and business cards for networking . Due to time constraints, Duztin Watson, US Army Sniper. will be here to speak for our August 1st luncheon. I'm Sorry for any inconvience. 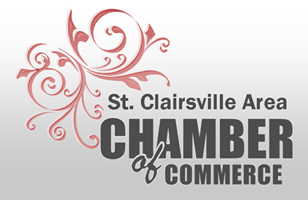 To make reservations, click on the make reservation button, call the Chamber Office at 740.695.9623 or email: administrator@stcchamber.com. If you have emailed your reservation and you do not receive a response, please try again as a confirmation email signifies that we have received your reservation.